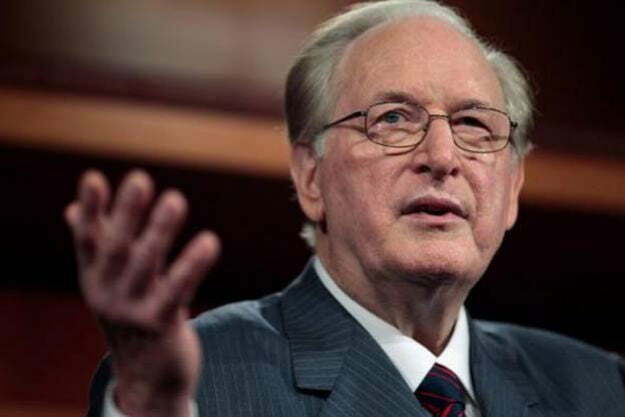 West Virginia Senator Jay Rockefeller had a very specific reaction to the horrific shootings in Newtown, Connecticut this week. Rather than join the growing discussion of gun control in the United States, Rockefeller instead chose to introduce a bill looking to study the effects of violent video games on children. Jay Rockefeller is the last of a dying breed throughout state and federal government. Over the last twenty years, there was a widely supported movement amongst senators looking to federally regulate the sale of video games based on violent and sexual content. California senator Leland Yee, Connecticut senator Joseph Lieberman, and even Secretary of State Hilary Clinton have all at various times made protecting children from video games their cause of choice. In recent years, as video games have become a ubiquitous form of entertainment for people of all ages, the movement has died out. The independent regulatory body known as the ESRB has been allowed to go about its business rating video games, while federal regulation laws like the one drafted by Lee for California were deemed unconstitutional. It was that case, Brown v. Entertainment Merchants Association, that saw the Supreme Court make the decision Rockefeller finds so distasteful, namely that video games, violent and otherwise, are protected speech. Rockefeller’s bill is not likely to find wide support in the wake of Adam Lanza’s brutal assault on Sandy Hook Elementary. A study researching the effect that violent video games have on children’s development is a laudable pursuit, especially considering the way that violent video games, films, and television shows rated for adults are marketed directly to children. (Why, for example, are there Gears of War action figures in Toys ‘R’ Us?) The timing and reasoning of Rockefeller’s proposal, however, are sensationalistic in the worst way, a fearful reaction to terrible circumstances that amounts to little more than finger pointing. Video games are not to blame for a sociopath’s actions. In fact, a new study conducted by researchers at the University of Western Ontario found that people who play video games are “significantly better” at reasoning. It means that researchers have found that video games teach children better decision making skills, precisely the sort of skills needed to avoid violent behavior. What’s disconcerting about Rockfeller’s proposed legislation is its narrow vision. Our culture has moved on from trying to scapegoat games as the cause of our biggest problems. Violent video games are just one facet of a culture wholly obsessed with guns, war, and violence. The senator’s vast wealth—he is one of the four richest senators in the United States—comes in part from his wife Sharon Percy Rockefeller’s role as director of PepsiCo’s board of investors. PepsiCo in turn is one of the Department of Defense’s biggest non-arms contractors, pulling in hundreds of millions of dollars on contracts with the US Army, Marine Corp, Air Force, and Navy over the past three years alone. It is wealth born of violence, however indirectly, money made from actual living people killing one another, not pictures of people killing people on a TV screen. Would it not be better to target all glorification of violence? Video games seem like a small target for Senator Rockefeller’s ambition to protect children.